This is just one venue. Nashville- bring it on. I recently purchased Thao Nguyen's latest album, which undoubtedly will end up on the best of June post. So, I'll hold off on my adoration and love of this album. What I will say is that Thao covers the Smokey Robinson and The Miracles song, "You've Really Got a Hold On Me" which has always been a favorite song of mine. I didn't think too much about it, until I re-listened to the recent She & Him album (the project of M. Ward and Zooey Deschanel). And I heard yet another cover of the song. I started thinking about how often this song has been covered. There are countless covers of this song...Check out this blog link to read more about covers of this song. So, we've got The Beatles, The Zombies, The Small Faces, Percy Sledge, The Jackson 5, Laura Nyro & Labelle, She & Him. I kept wondering, who else? Let's not leave out Cyndi Lauper, Eddie Money, Sonny and Cher, The Temptations, Bobby McFerrin. Next, I wondered what song has been the most covered song of all time. Of course, this is not an easy task (as wikipedia informs me). Apparently, it is speculated that The Beatles' "Yesterday" is the most covered song in popular music history. Though the website, Secondhand Songs lists The Beatles' "Eleanor Rigby" as the most covered. Of course, there is derision in the fact that "Happy Birthday" is technically the most sung song of all time. And so, what song is the most covered song performed, not necessarily recorded? Apparently, an unscientific study believes that Leonard Cohen's song "Chelsea Hotel #2" is the most covered- by a simple youtube.com search. To close out, here is a video of The Beatles' cover of "You've Really Got a Hold On Me". That being said, my absolute favorite version is of my best friend, Jennie Ann, performing this song in the Waffle House in Asheville, NC circa 1995. In 1977, spacecraft Voyager 1 and Voyager 2 were sent out into space to explore Jupiter and Saturn. Both spacecraft carry a golden phonograph record that contains various pieces of information about Earth. This record contains primarily music (27 total songs), but also greetings (in 55 different languages), pictures from Earth, and sounds of Earth (like crickets, volcanoes). Of course, I find interest in the idea that music is housed on the spacecraft. What songs were picked to be part of this space project? Blind Willie Johnson, Chuck Berry, and Louis Armstrong. These are the three songs of "popular music" included on the golden record. There is a fair amount of classical music (Bach, Beethoven, Stravinsky), as well as global folk music (Peru wedding song, Aborigine songs). I suppose it is an interesting question to ask yourself. What songs should go on the spacecraft? Undoubtedly, NASA wanted to put together a diverse and representative collection of music. I have to say I'm a bit concerned when an alien life form comes across this selection. No Beatles? So few women? I'm just thinking that by 1977 there were quite a few songs/styles that seem to be left off of this list. Perhaps it is the issue of high art versus popular culture- in that those putting together the space mix tape tried to put together a listing that would impress even the most intelligent life form in space. Hear more about this process at this NPR site. I adore the fact that music was deemed as having lasting value, coming from a universal language. To think of this music traveling through space amazes me. 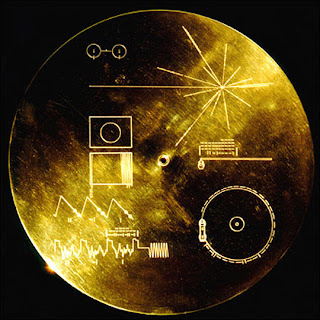 To wonder about an alien life form playing the golden record astounds me. Currently Voyager 1 is farther from Earth than any other human-made object. It is speculated that it will be around 40,000 years before the spacecraft (and music) make a close approach to any other planetary system. So, although I might have some issue with songs that were left off the mix tape, I must say the image of an alien life form listening to Armstrong's Melancholy Blues is undoubtedly a perfect introduction to the idiosyncrasies of living on Earth. Here they are (finally)...the top five songs of May (and somewhat of the first week of June). 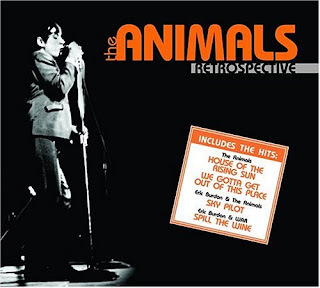 I recently spent way too much money on The Animals' album Retrospective. I slowly toured through various songs, beginning with ones I was more familiar and then less so. When I first discovered Dylan, one of the first songs that drove me wild was his rendition of "Baby, Let Me Follow You Down." So later, when I came across this song, I immediately recognized the similarities and fell in love all over again. The last minute of this song is perfect in conveying the feeling of wanting to take someone home and living the unknown expectations of days, weeks, perhaps months to follow. 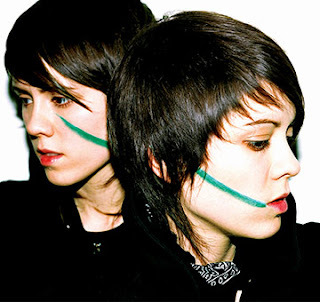 I've heard the names Tegan and Sara what feels like a million times. 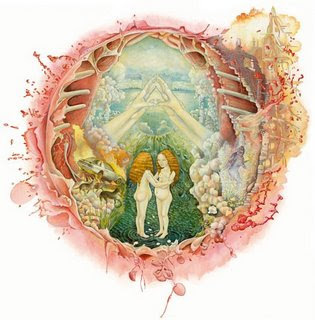 Yet again, it was Bob Boilen from All Songs Considered who officially turned me on to their latest album. In recent months, on a limited budget, I've tried to teach myself the value of only buying one song here and there instead of an entire album (read: The Animals story above). After listening to the clips of Tegan and Sara's new album, The Con, I couldn't resist. I made the investment. Honestly, I loved most of it. It was difficult to pick just one song that resonated, but after a few beach walks with the album, this one seemed to fit for now. "Oh and I'm feeling directionless, yes, But that's to be expected, And I know that best, And in creeps the morning, And another day's lost, You've just written wondering, And I reply fast, All you need to save me, Call..."
When I try to remember the first time I heard Neil Young, I fall short of the exact memory. 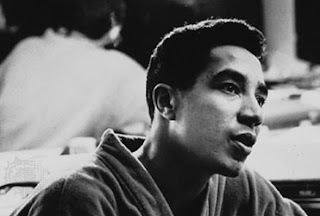 What I do remember about Young is his becoming part of my musical motif, I was 16 years old. I was visiting my older sister in Chicago. While there, her boyfriend also had friends visiting. They were a couple of years older. They were what seemed to be professional pot smokers and professional Neil Young fans. I can never listen to Neil Young now without remembering that spring break (circa 1993) with Ashley and her homemade hummus, the blue Kool-Aid mixed drinks, and those boys. They played Neil Young for us. Harvest Moon, I do believe. Young has been a mainstay in my life. Not always center stage, but there. Recently, I heard this particular song and something about it felt perfect to me. Something about it reminds me of the house my family is selling. The house I grew up in. It just always will now. "Well, we met up in my favorite bar, took a ride in my favorite car, But I still don't know how we made it home. Was I too far gone, too far gone, too far gone, for you..."
I've been thinking of conducting some research (perhaps even a dissertation) on urban centers that become musical meccas. Places where bands move with the intention of "making it" and getting signed/inspired. I've thought of places like Chicago, St. Louis, New Orleans, New York, Los Angeles. If the last few years tell me anything- I'm lucky to add Montreal to my list. Islands just add to this list and if I lived anywhere near Quebec- I'd move to Montreal to make it. Is there something in the water there that creates these wonderful bands that make you want to stay up late, listening and dancing? The entire album has not grown on me as of yet, but I'm going to stay up too late tonight listening, yet again. Mates of State will always remind me of one evening. Even hearing the new album, just the sound of their harmonies and melodies, I'm always back at the 40 Watt in Athens, Georgia. A couple of years ago after a long night of hanging with old friends, I made the trip to Athens to visit UGA, where I was considering attending for my doctorate. Before I head out on any type of travel, I always check local club listings for a show to attend. Imagine my surprise when I noticed that some friends of mine that are in a band would be playing at the 40 Watt while I was visiting. The band? The Close. They were playing with Mates of State. I had never heard Mates, but I knew that I loved The Close and furthermore that there is nothing comforting like being in a distant town with people you don't know and getting a chance to hang with some old friends. I remember this time of my life feeling very confusing. I was about to turn 30 years old. I was trying to decide if I wanted to go on for more education while still working on my master's thesis. As I stood in the club listening to Mates of State, I remember all of those feelings of fear drift away. I felt enthralled by the music. It just all fell away. I was surrounded by new friends and old friends. It felt lovely. Every since that one night, when I hear Mates of State, I'm back there. This new album is also pretty amazing. They certainly, lyrically at least, grasp the concept of human relationships. Speaking to crushes and long-term relationships with what feels like years of experience, but still with such a pop song reliance that while you are signing along with lyrics of longing, you still find yourself pleasantly at ease.